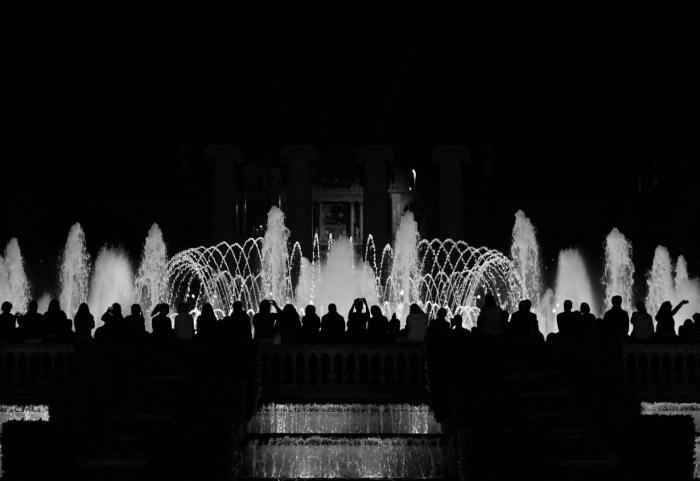 Magical Fountains of Montjuïc.Opened at the Barcelona International Exposition of 1929, these fountains are the work of Carles Buigas, and are widely known and loved for their engaging light and sound. Poble Espanyol. 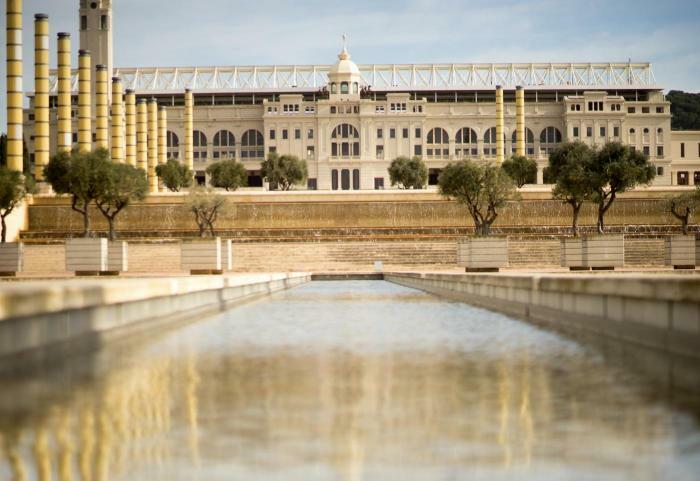 Built for the International Exposition of 1929, this complex is a reproduction of the buildings and plazas found in classic small villages across Spain. Castle of Montjuïc. An ancient fortress located on the peak of Montjuïc. In the near future, it will also be home to the Center for Peace. Mirador of Montjuïc. With views to the sea, the airport, the cemetery of Montjuïc, all of Baix Llobregat, the Olympic Village and its spectacular Palau Sant Jordi, this amazing spot also looks over a good part of the city, including the neighborhoods of Sarrià, Pedralbes, Les Corts, and Sants. Miró Foundation. This work of Josep Lluís Sert contains a substantial collection of the artistic legacy of Catalan artist Joan Miró. Archaeology Museum of Barcelona. The MAC collects archeological remains found in Catalonia and the Balearic Islands from the Paleolithic to the Visigoth periods. MNAC. The National Art Museum of Catalonia holds one of the largest European collections Roman art. CaixaFòrum. The cultural and social center founded by “La Caixa”. Mies van der Rohe Pavilion. The work of Ludwig Mies van der Rohe, this stadium is an architectural highlight of 20th century modern architecture. Barcelona Musical Theatre. Remodeled in 2001 as a venue for musicals and other live spectacles. The Greek Theatre is Barcelona’s premier venue for theatre, dance, music, and circus entertainment, all throughout the summer months. Free Theatre, an independent theatre that hosts dance, music, and theatrical events. Palau Sant Jordi. A new sports venue conceived by Japanese architect Arata Isozaki, the palau is the largest covered facility in Barcelona. Lluís Companys Olympic Stadium. The Lluís Companys stadium was built for the International Exposition of 1929. It was then comprehensively remodeled in 1992 to host the Olympic Games of 1992. Bernat Picornell Pools. These pools stand in tribute to the great Catalan swimmer, and founder of the Royal Spanish Swimming Foundation, Bernat Picornell i Richier. Barcelona is sports, music, painting, history, art….. Barcelona is Culture! 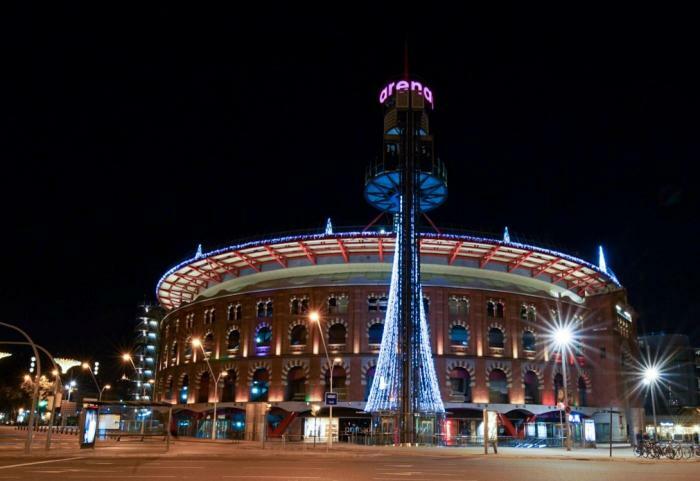 ARENAS de Barcelona has re-opened its doors to the public, welcoming them into an avant-garde space that blends shopping, entertainment, and culture. This complex, located in what used to be Barcelona’s bullring, built in 1900, features neo-mudejar style. It was designed by architect Augusto Font i Carreras. But after many years of inactivity, the architecture firms Richard Rogers Partnership and Alonso - Balaguer Arquitectos Asociados took on the challenge of transforming this old stadium into an innovative new space. The result is an elegant commercial center with a wide variety of stores in diverse sectors: exclusive shops, a 12-screen multiplex, cultural auditorium, sports facility and spa from the prestigious chain Metropolitan, and a variety of restaurants each offering panoramic views of the city from sweeping wrap-around terraces. A new point of reference for Barcelona’s shopping and entertainment scene.